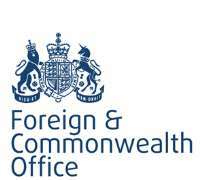 FCO Press Release: UK Minister welcomes start of Libya peace talks. LONDON, United-Kingdom, September 30, 2014/African Press Organization (APO)/ -- Tobias Ellwood MP, Minister for North Africa, welcomes UN-led peace talks and underlines need for ceasefire and start of political dialogue in Libya. “I welcome the start of UN-sponsored peace talks in Ghadames today. Libya faces serious political and security challenges which can only be addressed through an urgent ceasefire and political dialogue. I welcome the UN leadership in bringing the parties together, and the courage and conviction of the Libyans who have come to the negotiating table. This process will require time, patience and compromise from all sides. Those looking to undermine prospects for peace through violence and extremism should be in no doubt that the international community will not hesitate in taking action against them.